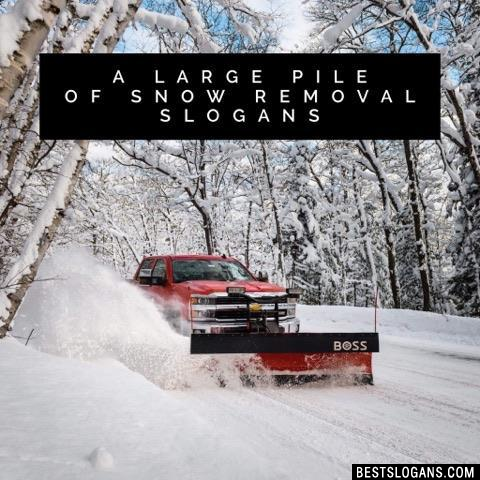 23 new entries added to snow removal slogans, that include pictures. 1. 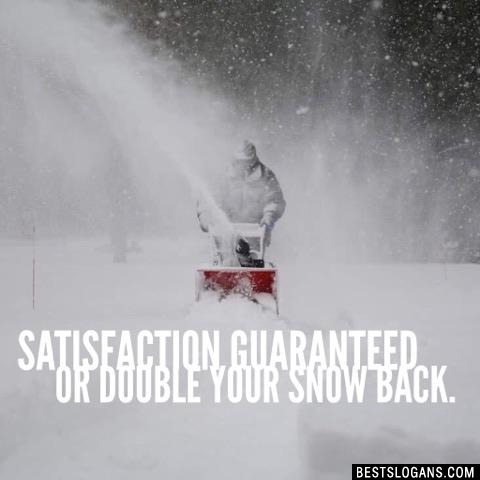 Satisfaction guaranteed or double your snow back. The deepest snow ever recorded in an inhabited area of the UK was near Ruthin in North Wales during the severe Winter of 1946-47. During March 1947 a snow depth of 1.65 metres was recorded. Scotland sees the most snow in the UK, with snow or sleet falling on 52 days on average. The weather station which recorded the most snowfall in the UK was the Cairngorm Chairlift with snow falling on 76 days throughout the year. While snowflakes appear white as they fall through the sky or as they accumulate on the ground as snowfall, they are in fact totally clear. 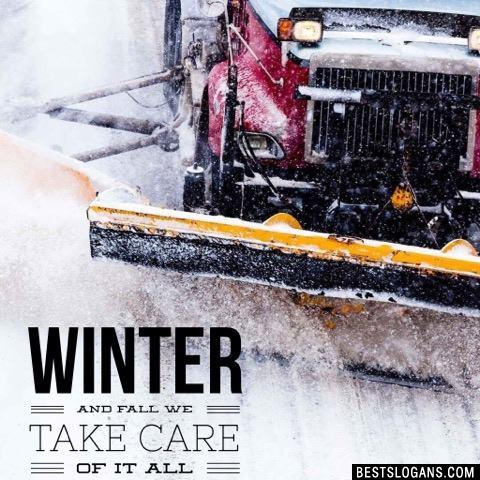 Most snow falls at a speed of between 1 - 4 mph dependent upon the individual snowflakes mass and surface area, as well as the environmental conditions surrounding its descent. Originating from the Greek chion meaning snow, and phobos for fear, the word Chionophobia is used to describe the condition of being afraid of snow. 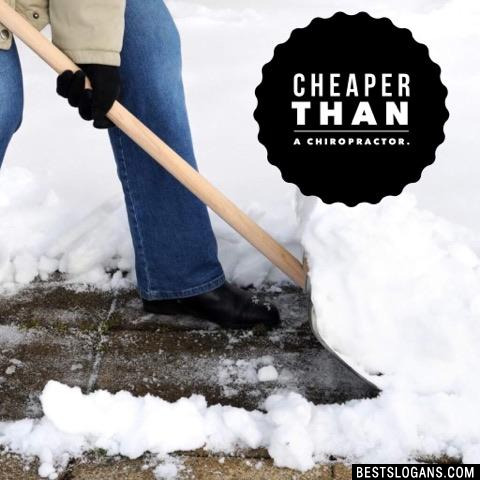 Satisfaction guaranteed or double your snow back. 2 Need to go? We'll remove this snow. 3 One call and we clear it all. 5 Our service is as unique as a snow flake. 6 Down to the last snow flake. 7 Always on snow patrol. 8 As fast as it will fall, we will clear it all. 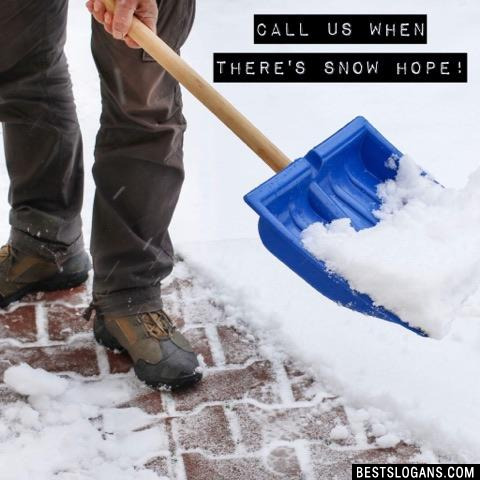 Call us when there's SNOW hope! 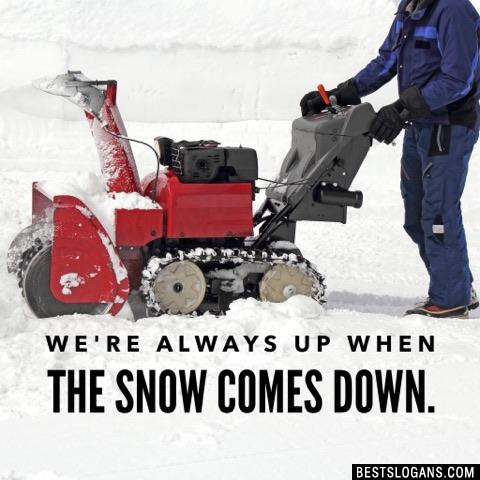 10 Snow problem, we've got your back. 11 We Get the White Out! 17 Best snowjob in town. 19 We're Frosty's worst nightmare! 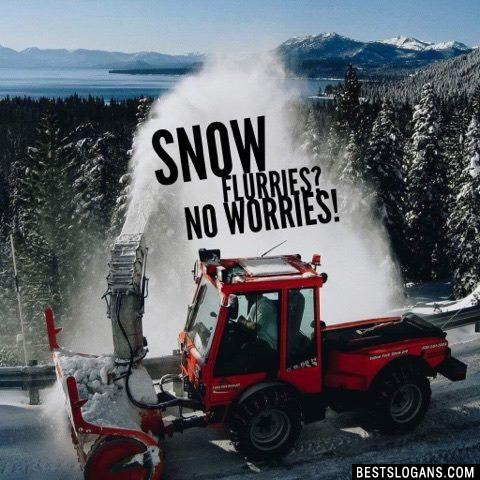 Can you think of a good Snow Removal Slogans we're missing? Or come up with a clever one of your own. Please share below.